H2WOW Carwash celebrated the Grand Opening of its second location in Green Valley Ranch, CO January 26, 2019. A total of 849 cars were washed for free and nearly 100 customers have already signed up for H2WOW’s unlimited club. H2WOW Carwash gave away free “WOW” washes through Wednesday, January 30. The new, upscale express exterior car wash is located at 4631 Tower Road. 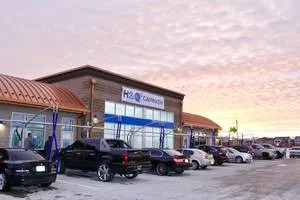 To celebrate its opening, H2WOW Carwash offered a promotion on its unlimited wash club. Customers received their first month of unlimited washes for the price of a single car wash with club enrollment. Everyone who signed up for the wash club that week was entered to win a Winter Weekend Get-Away package. The package includes two nights hotel accommodation, lift tickets, tubing, and equipment and gear rental for up to four people. A winner will be selected Sunday, February 3. The new facility features free vacuum stations and mat cleaners as well as microfiber towels. 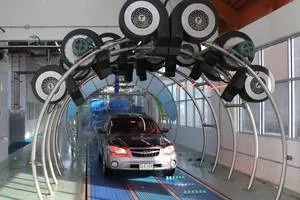 H2WOW Carwash is fully automated and provides a high-quality, environmentally friendly car washing system using soft cloth and filtered, recycled water. In addition to the car wash tunnel, H2WOW’s new location features two K9000 self-serve dog-wash stations. Every vacuum slot filled. The well equipped tunnel.